I wrote about why wedges are the shoe for the summer for Style It Light and these platform wedges from Office are the perfect example of why. 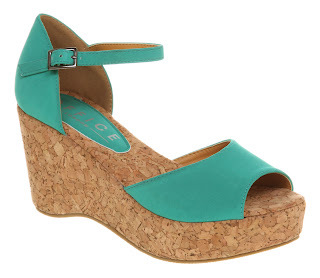 Not so high that you'd get vertigo or risk damaged ankles and the perfect summery blue make them very lovely indeed. Imagine the nail polish colours that would go with them - corals, pinks, sorbet goodness! They're also now only £22.50 reduced from £45.